If You Are A Homeowner in the Ralston Area, We Want To Talk To You! We are a team of professional home buyers, purchasing homes in Ralston and throughout the Nebraska area. We have been helping homeowners for over 20 years by purchasing run-down, unwanted homes. We will do everything we can to help you if you are in a tough situation, and we will close on YOUR terms! There is a fast, simple, and stress-free way to sell, and it doesn’t involve listing! A direct offer will save you time and money! Why pay an agent, when you can do it yourself! You can stop the bills, headaches, and frustrations from an unwanted property. Owning or living in a house you don’t want can be expensive and stressful. You don’t have to keep living this way. Find out how much we can offer you! There is never any obligation. We will not hassle you in any way. We will simply make you an offer, then leave the ball in your court. It is up to you if you would like to sell or not! If you accept our offer, we will buy as-is and can close fast… in as little as 7 days! Or longer if you choose. We will close on the day YOU pick! Our goal in every deal is to create a situation in which everyone benefits. By cutting out the middleman, we will eliminate commissions and fees. Right there, more money is kept in your pocket! We want to create a situation where EVERYONE benefits! Let’s run the numbers so you can make the decision that is right for you! Whether you are going through foreclosure, you need to move quickly, you are getting divorced or even if you are dealing with a house with extensive repairs… we will make you a great cash offer! Without any hassle, risk or obligation! We wanted to let you know how much we appreciate all that you have done for us. When this all began we thought for sure that we would end up in foreclosure, but due to all your hard work for us and working so closely with our mortgage company, you were able to save us from a devastating end. We just wanted you to know how much we appreciate all you have done. Your hard work was a lifesaver to me and my family. If in the future, if I know of someone with similar problems I would certainly recommend your service. Before You Sell, Learn About Your Options! Listing through an agent is not the only way. More buyers are discovering the flexibility, power, and ease of selling their house directly. We want to make you a direct offer, no you can save time and keep more cash in your pocket. You will not have to wait for months at a time. We are able to close in about a week. If you are interested in learning more, fill out the short form below. We will be in touch right away to discuss your property in more detail! We want to make you a risk-free, zero-obligation offer on your Ralston home! 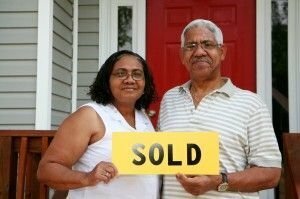 We respect your decision on how to sell your home! Just know there ARE options! The choice is yours! There is never any hassle, risk or obligation!